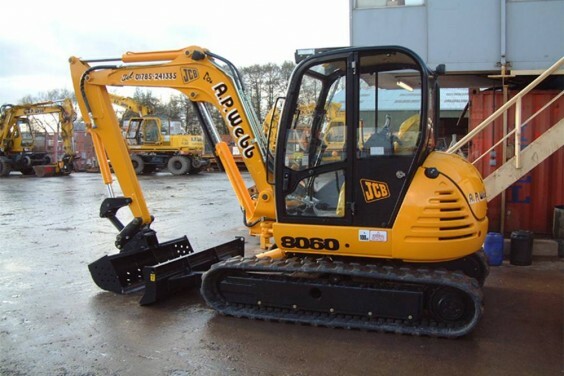 JCB – 8060 Midi Excavator « A.P. Webb Plant Hire Ltd. The 8060 provides optimum visibility and stability while minimising counterweight overhang in tight confining areas. High visibility, lifting and digging ability provides superb performance. Components pre-tested prior to manufacture for strength and durability. 360° cab swing and independent boom swing provides excellent maneuverability. Fully enclosed swing turret system to protect from dirt and debris. Ergonomic controls and instrumentation for maximum convenience and comfort.